Affiliated with the University of Toronto, The Hospital for Sick Children is Canada’s most research-intensive hospital and the largest centre dedicated to improving children’s health in the country. Its mission is to provide family-centred, compassionate care, to lead in scientific and clinical advancement, and to prepare the next generation of leaders in child health. As the world’s second largest hospital-based paediatric research facility, The Hospital for Sick Children’s Research Institute provides the greatest opportunity for its supporters to ensure that their generosity results in improved health for children. 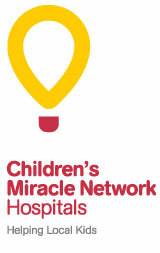 Children’s Miracle Network is an international non-profit organization dedicated to raising funds and awareness for over 170 children’s hospitals. Children's Miracle Network helps over 17 million children each year – 2.6 million in Canada alone. The proceeds from Teeing off for kids! 2018 will be used to support research at The Hospital for Sick Children, the Children's Miracle Network member hospital serving the Greater Toronto Area.